When you need to take your advertising campaign to the next level, NIGHTCLUBSHOP Red Carpet backdrop banner printing is the perfect visual marketing solution. Photography, Music, Nightclub, or film, media backdrop banners ensure that your company logo, branding, product name, and message remain in the shot. 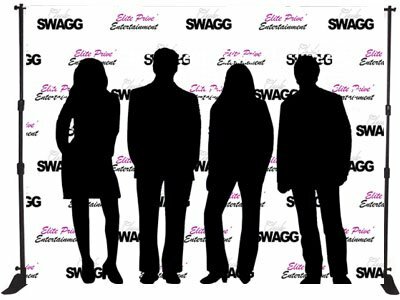 These Backdrops are great for Social Media Pictures as well as Red Carpet Events and special functions. Nightclubs, Awards shows, Banquets, Weddings, Anniversaries, and Birthdays, These Red Carpet Backdrops can be custom taylored to your desired and specific size. We offer custom digitally printed banners and vinyl banners cut to your specific size. Media backdrop banner sizes are available from small format 24x36 to any custom taylored size desired. 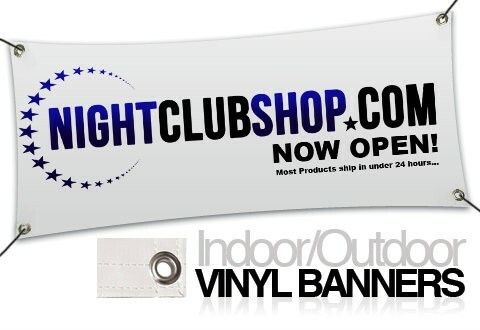 NIGHTCLUBSHOP.COM's vinyl banner printing helps your company get the most out of its marketing, and helps your brand reach your desired maximum exposure!